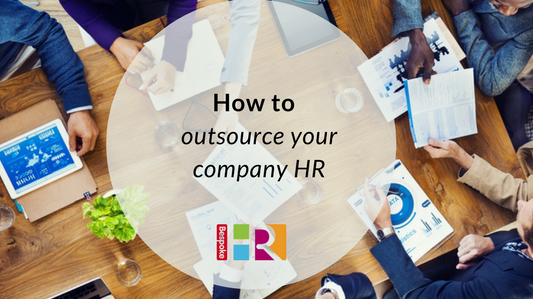 Here’s our guide to outsourcing your company HR, including what to look for in an HR consultancy. Do you need HR support? Your time is becoming consumed with recruiting for your business, or dealing with staff issues. Or perhaps you’re aware that your documents are out of date and you’re concerned that your business is not legally protected. Alternatively, perhaps you’re experiencing growth in your business and know that HR is no longer something you can choose to ignore. Sound familiar? Then it could be time to look for some HR support. Whatever your scenario, outsourcing your HR can be a huge relief for many business owners. Getting professional support means your business is covered, your staff are looked after and you can focus on running your business. There are many options available for businesses looking to outsource HR, from small independent consultancies to large nation-wide organisations. So where do you start, and what should you be looking for? Ideally a provider’s HR consultants should hold relevant CIPD certificates, which ensures they are fully trained in all aspects of HR. If your provider includes employment law specialists this is a huge bonus, as access to independent employment law advice can cost between £150 – £200 per hour. If you can include this within your fee this will save your business considerable costs. Work out what you want from a provider – do you want a face for your business; someone who will come into your office, meet your staff and work alongside you, or are you happy to speak to advisors on the phone as and when you need support? If you want a hands-on approach from your provider look at where they are situated. Could they travel to your premises and meet your staff? Don’t be put off if they are not just around the corner however, as most providers are geared up to working remotely and are available at the end of the phone. Speak to a few providers. Not only does this help you to compare quotes but you can get a gut feel for which company will work best and fit in with your ethos and values. Many providers will be happy to chat through your requirements, understand what you need and offer some free advice on the best approach before you sign up. Look at their website, do they have good customer case studies and testimonials from other clients? Don’t always assume bigger is better – smaller, local providers have as much expertise in-house as larger organisations which can sometimes appear faceless to small business owners who are looking for a more personal approach. Cost can vary from provider to provider and some may charge per project, per day or per hour. Some suppliers offer a tiered package system which gives you access to a specific number of hours per month. Cost also depends on how long you need support for, you can pay for ad-hoc projects or sign into long-term agreements so you know you have peace of mind that your business is fully supported. For example, a simple plan giving you two hours of support per month could cost around £160, or for around 32 hours per month you could expect to pay around £1920 per month. It’s important to understand the fees your provider is charging, check whether travel is included or is billed in addition, and make sure you know if you’ve used up your allocated hours each month. Ask about the availability of consultants, are you able to get advice whenever you need it or will you be talking to a call centre and a different member of staff every time you call? Find out whether you will have a dedicated consultant for your business, someone who can get to know you and fully understand your perspective. Be clear about the tasks you’re outsourcing – are they administrative or more strategic? This will help you to establish how much you should be paying and what to expect. Understand the value of the contract – typically if it’s low-grade admin tasks expect to pay £25-£30 per hour, but if it’s strategic advisory it could be between £70 – £100 per hour. Establish how long you need the support for, is it an ad-hoc project or do you need support long-term? Be clear on your aims and objectives and set your expectations from the start. This way you are all clear on what you hope to achieve, and your provider can work closely with you to realise this. Typically, outsourcing your HR can save your business money on employing an in-house HR Manager and gives you the peace of mind that your business is protected for the future. We can help with your HR requirements – drop us a line to find out how.